The “Economy” range of adaptors is offered for most everyday usage. To maintain the lowest prices, the “Economy” version is offered in Aluminium, Unpainted. Painting and Silver Plated (Brass) versions are available at extra cost. It is possible to offer improved performance specifications for narrow band options. Precision adaptors are offered to suit laboratory or test bench applications. The precision version is manufactured from brass and is silver-plated and painted with attractive, hard wearing, epoxy paint finish as standard. 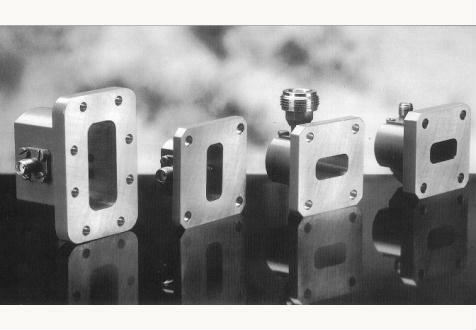 Each adaptor is tuned to offer the highest possible performance over the full waveguide frequency band (Improved performance over a narrower bandwidth is available).